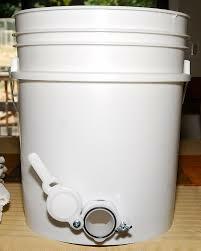 Filter into this 20 liter bucket and fill your jars without a mess. 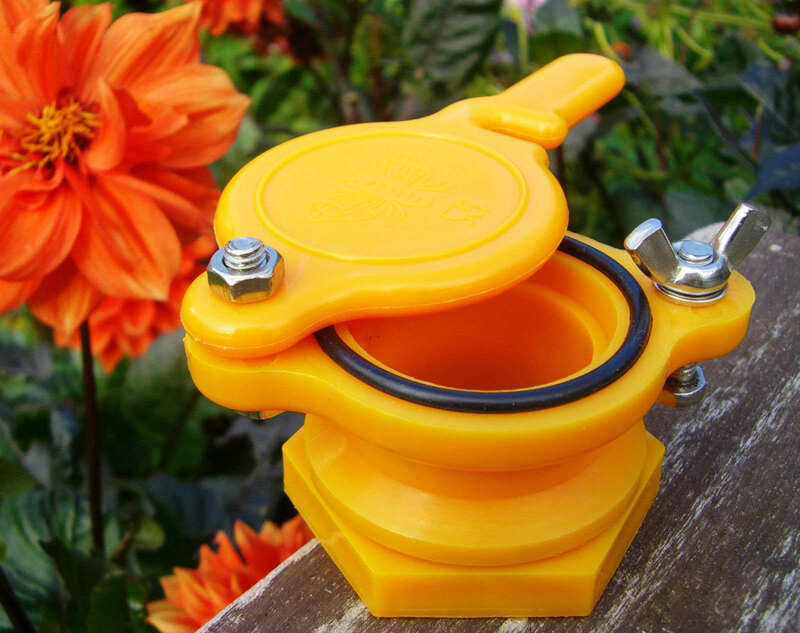 Food grade plastic, comes assembled and includes lid. 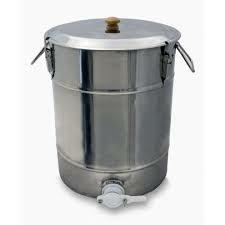 Bucket holds approximately 60 pounds of honey. 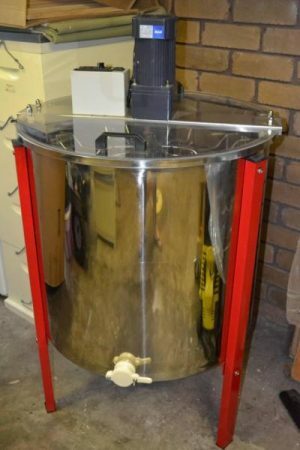 This 6 frame reversible extractor is perfect for processing large amounts of honey in a short period of time. 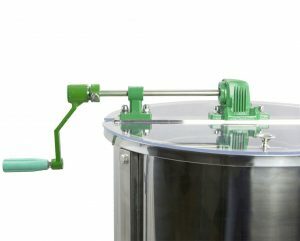 This radial extractor allows you to uncap both sides of your honey frames for quicker processing. 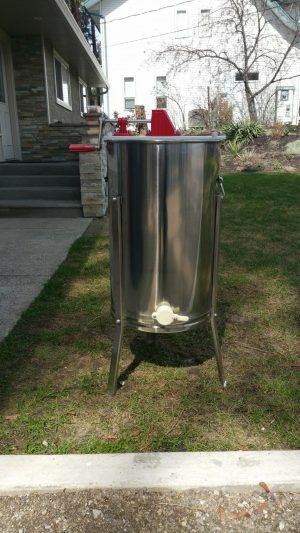 A stainless-steel smoker is a must have for every beekeeper. 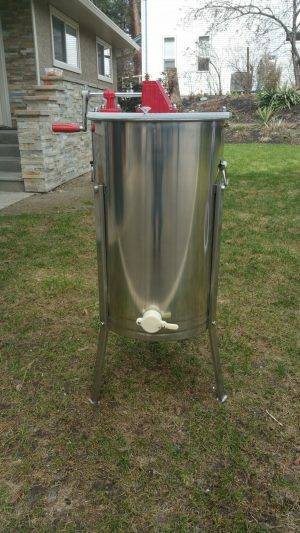 This 4″ x 7″ American style smoker offers a good quality bellow and a ringed top for easy access with gloves on. 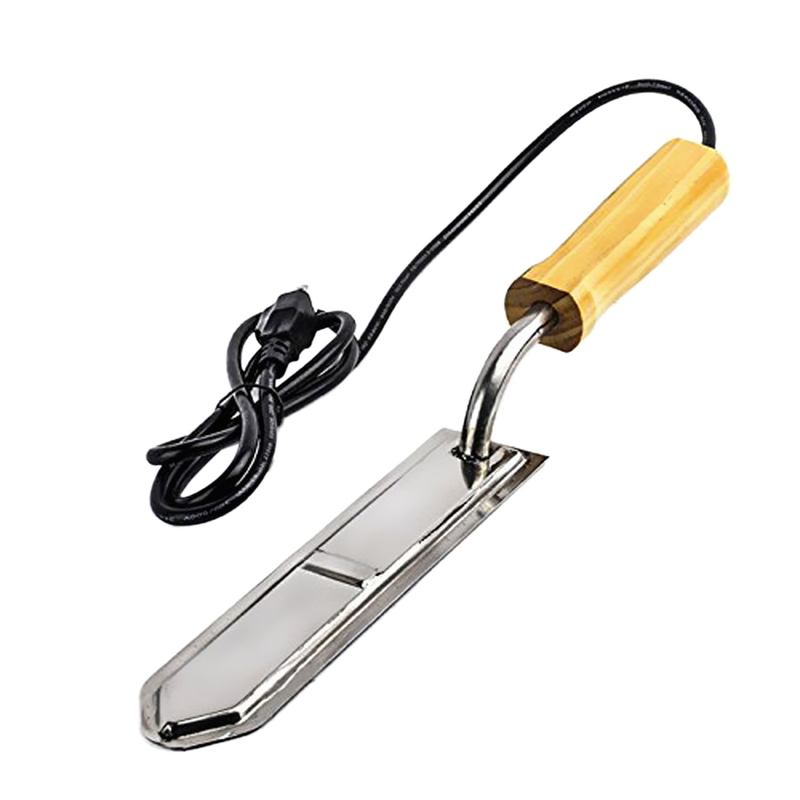 This uncapping knife has a built in thermostat with a pre-set temperature of 260F-270F. Wooden handle stays cool. Blade is 10″ long and 2″ wide. 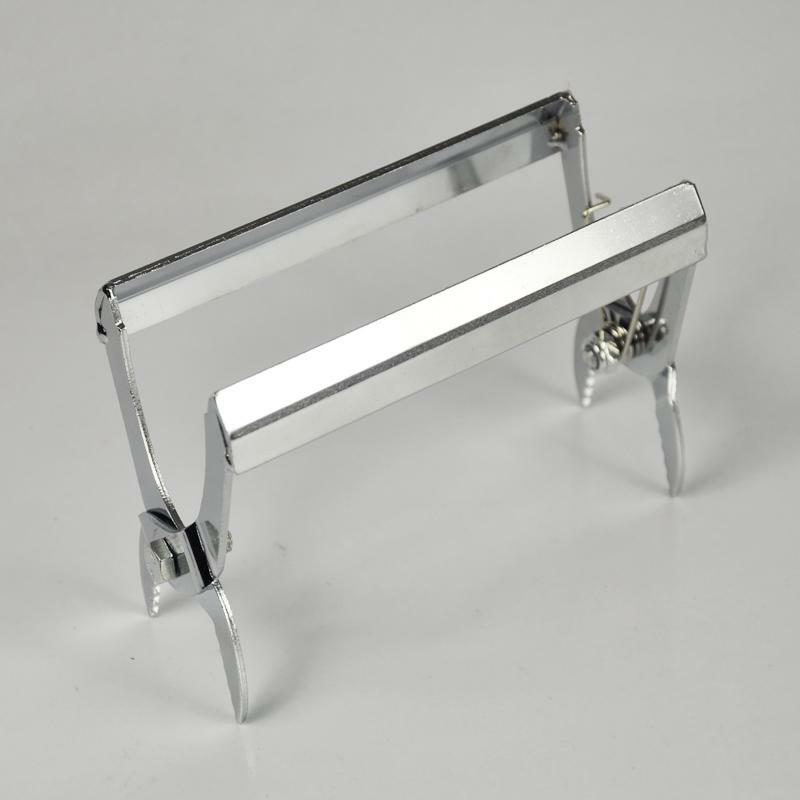 The frame grip easily clamps onto the top of frames so you can pick them up with ease, right out of the super. 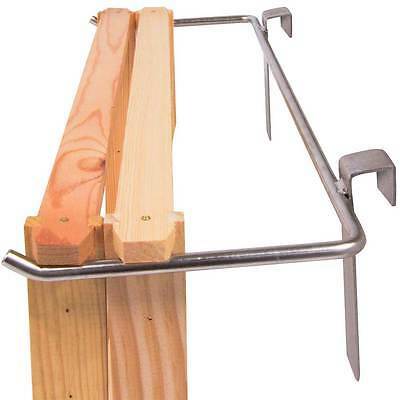 Frame Perch’s are the perfect accessory to keep your frames off the ground. 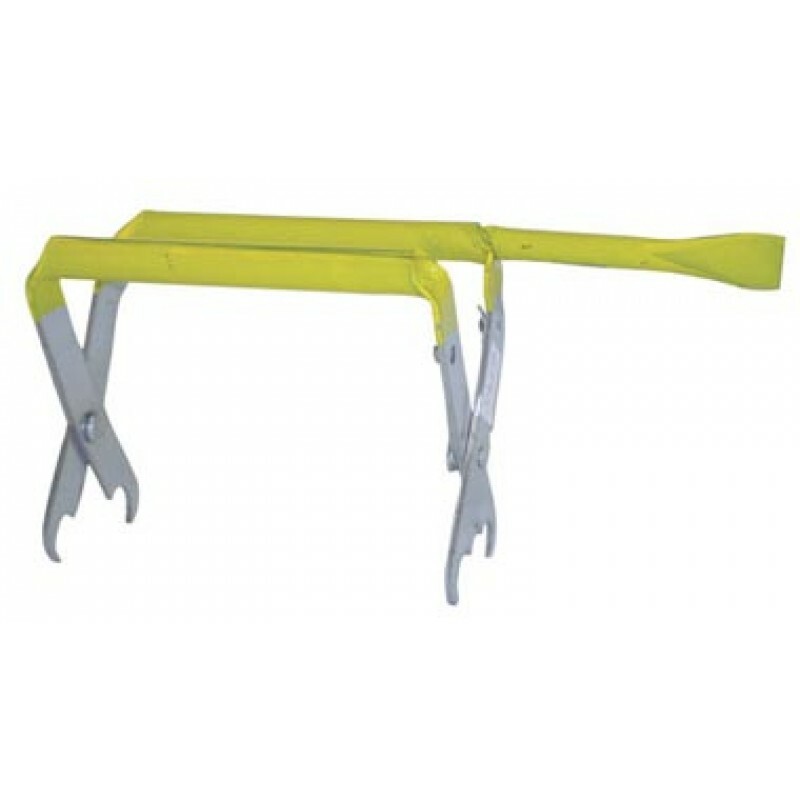 No more resting them up against your supers only to accidentally kick them. Place the frame perch on the side of your super and start doing your inspection. 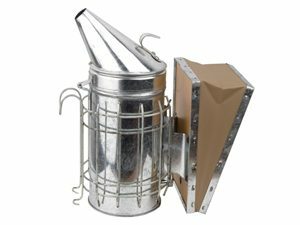 1 ½ Inch Nylon honey gate can be easily attached to any bucket or extractor. Because things wear out. Gears for 2, 3 & 4 frame manual extractors. 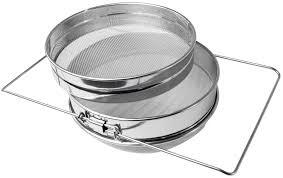 Stainless steel double honey filter has both course and ultra fine holes. A great addition to a frame grip, one with a tool. Limit the amount of tools you have with this all in one. 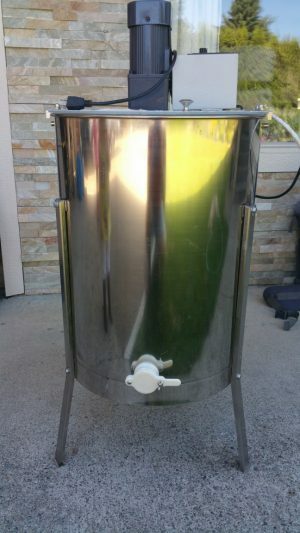 Perfect for emptying all your honey into, makes filling jars easy.